26 Bible verses that teach important truths of the faith are beautifully illustrated for coloring, with an activity page that includes vocabulary words and a prayer emphasis to complete. This study will bring Scripture passages to life for your students and children! 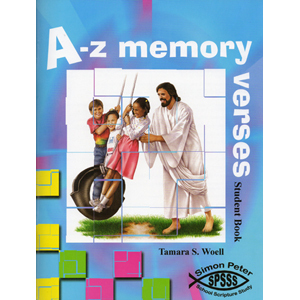 This student book, used in conjunction with the A-Z Memory Verses Teacher's Manual and the A-Z Memory Verses music CD, will enhance the learning and enjoyment of every student as they memorize God's word and apply it to their hearts and lives. Attention Deficit Disorder: What it is and What to do About it.